If you are already using Strava, Ride with GPS or UnderArmour (MapMyRide/MapMyRun) then you can connect and automatically use those routes here. These sites offer excellent planning tools for creating routes. In Linked Accounts click on the service you wish to connect and follow the prompts to authorize your access. Strava: You will be prompted to authorize access on the Strava website. This will let you use your Strava routes. To use such a route, 'star' it on their site, and it will then appear on your routes list here. Ride with GPS: Enter your username/password for that service and we will use those to verify that we can access your account ok. All of your pinned routes there will appear in your routes list here. If you see someone else's route there that you would like to use, use the COPY TO MY ROUTES link on the route on Ride with GPS to add it to your set. UnderArmour: You will be prompted to authorize access on the UnderArmour website. This will let you use your MapMyRide and MapMyRun routes. To use such a route, bookmark it on their site, and it will then appear on your routes list here. You can revoke your access at any time at Linked Accounts. 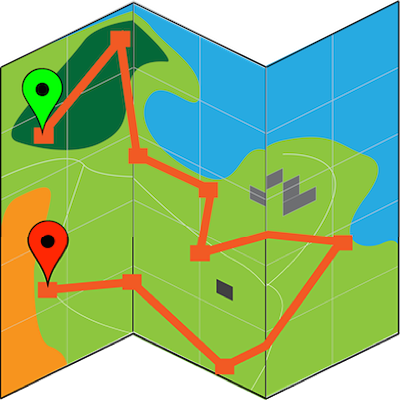 You can also draw a route using our Route Planner or import routes from GPX and TCX files and other services.